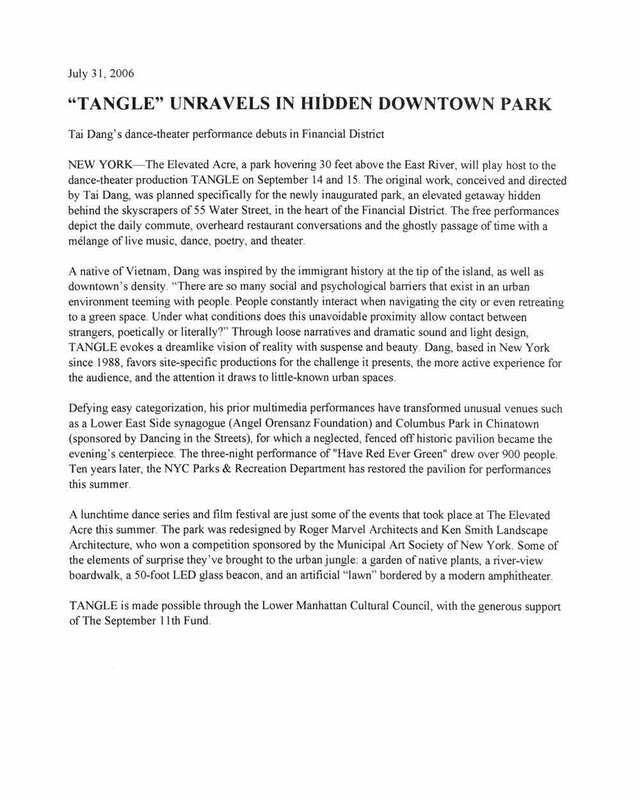 Postcard for "Tangle: a site-specific dance/theater performance" at 55 Water St., New York City, from Sep. 14-15, 2006. 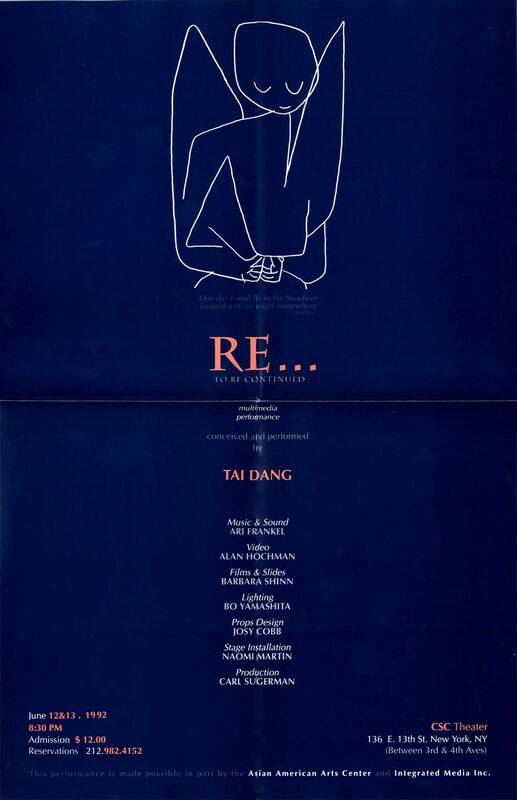 Poster for "RE... To Be Continued" at CSC Theater, New York City, from Jun. 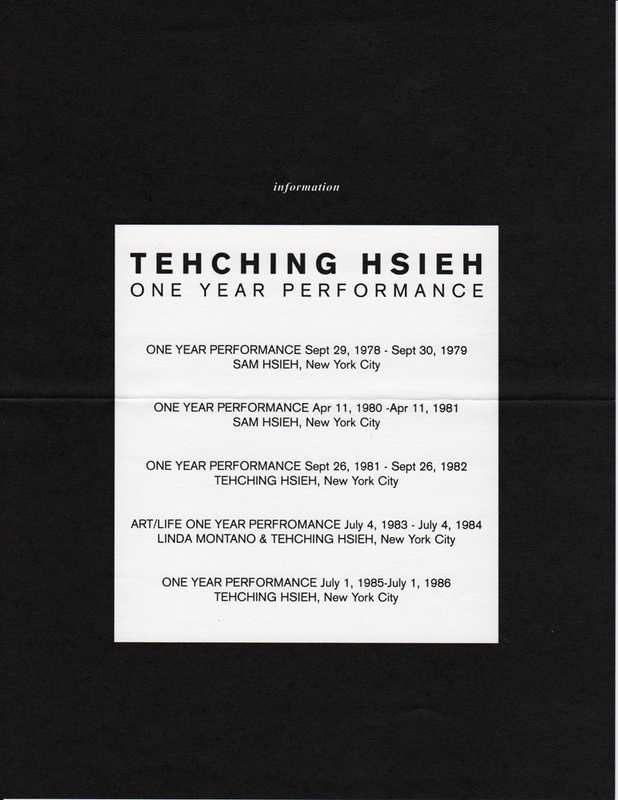 12-13, 1992. 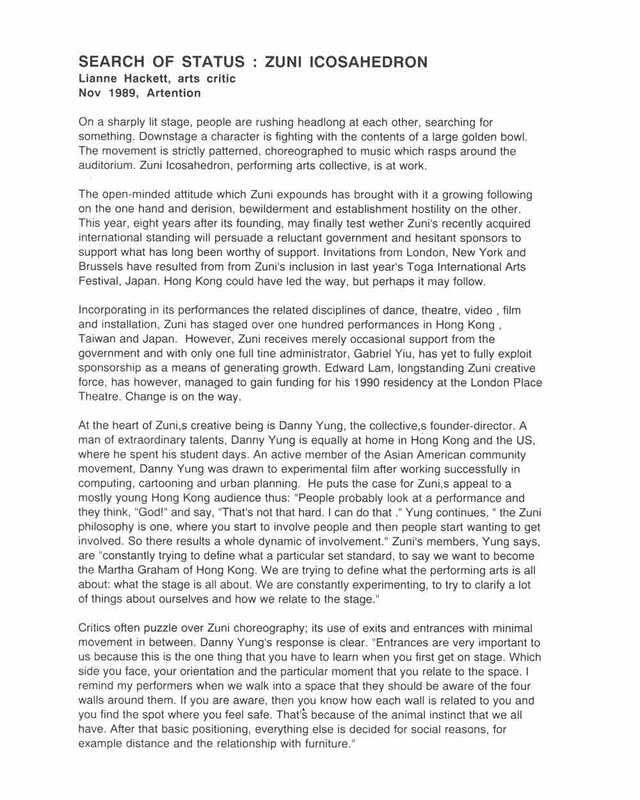 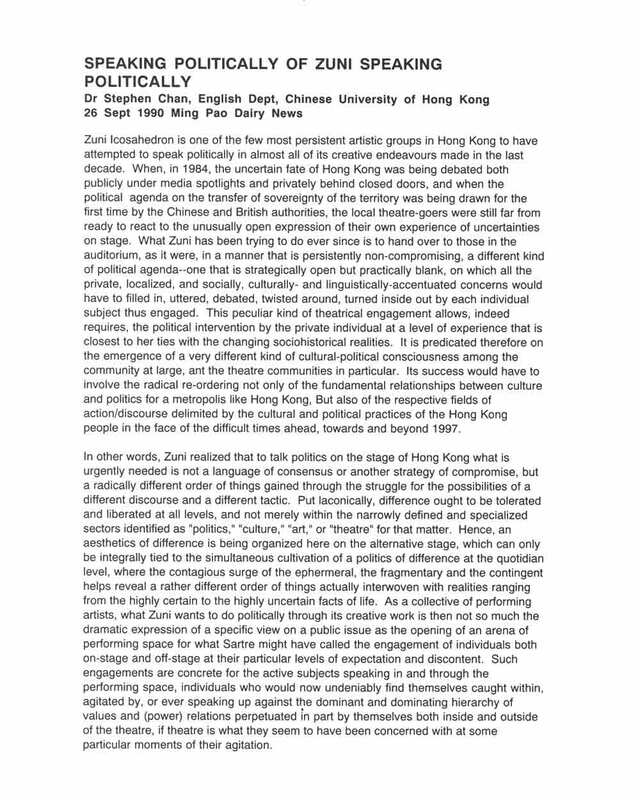 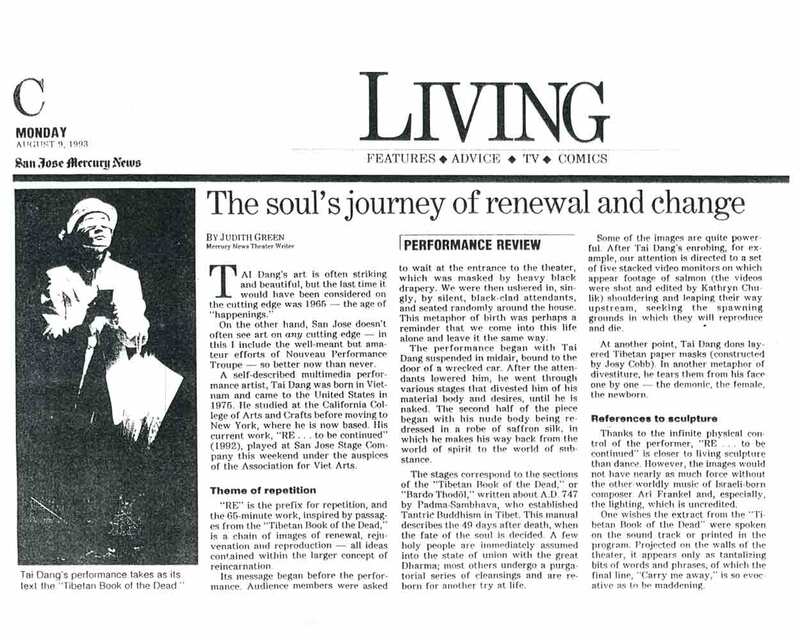 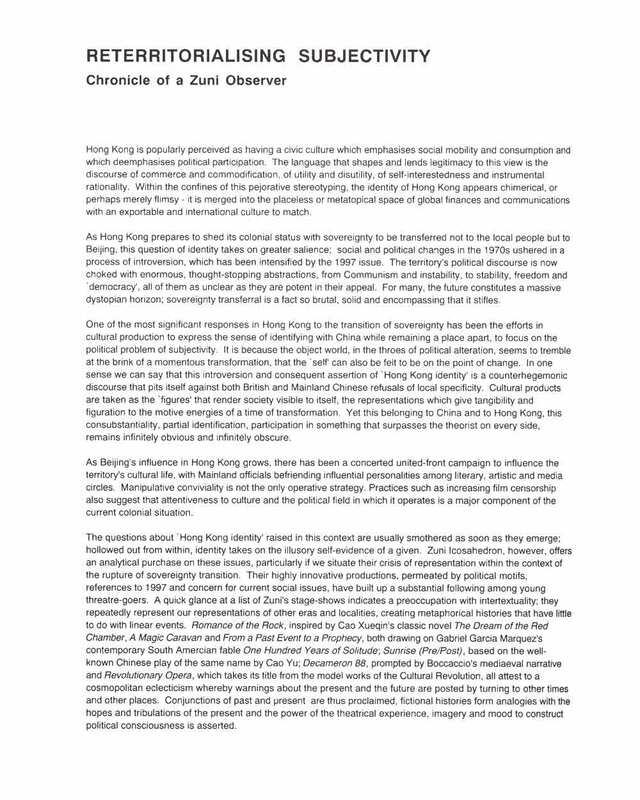 Press release for "Come, Let's Go/View the Snow/Until We've Buried" at Harry De Jur Play House, New York City, from Apr. 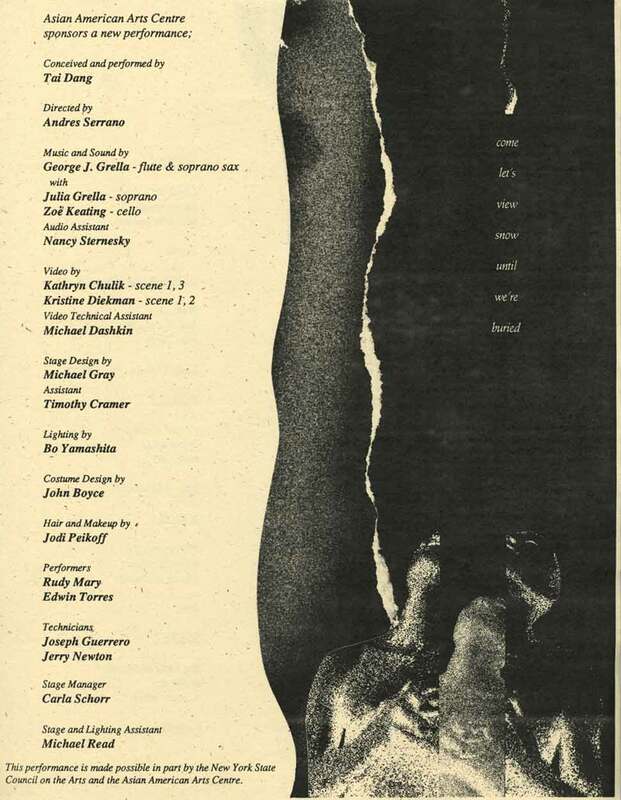 26-27, 1991. 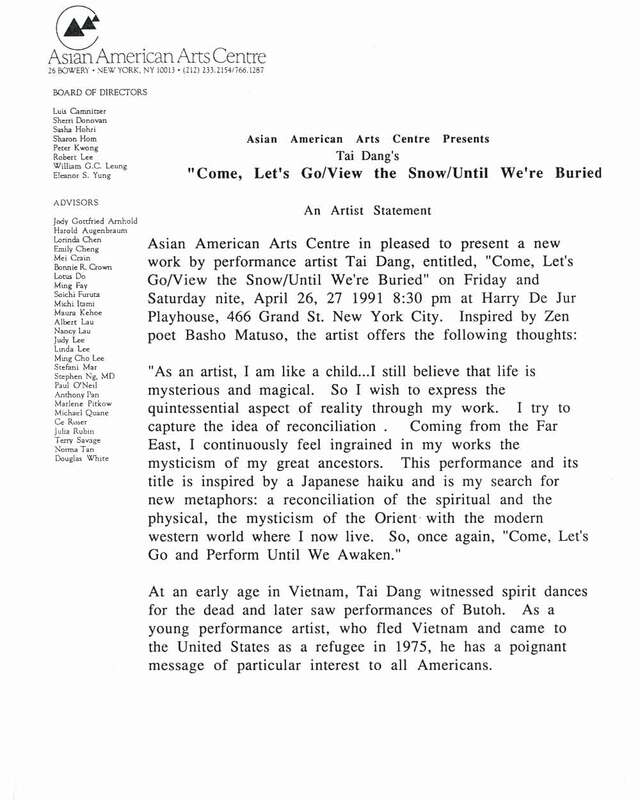 Flyer for "come let's view snow until we've buried" at Harry De Jur Play House, New York City, from Apr. 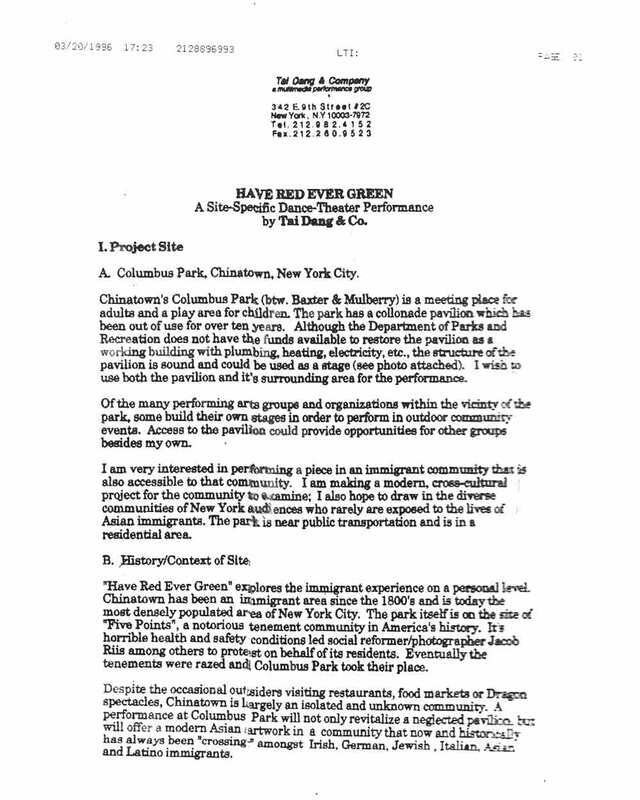 26-27, 1991. 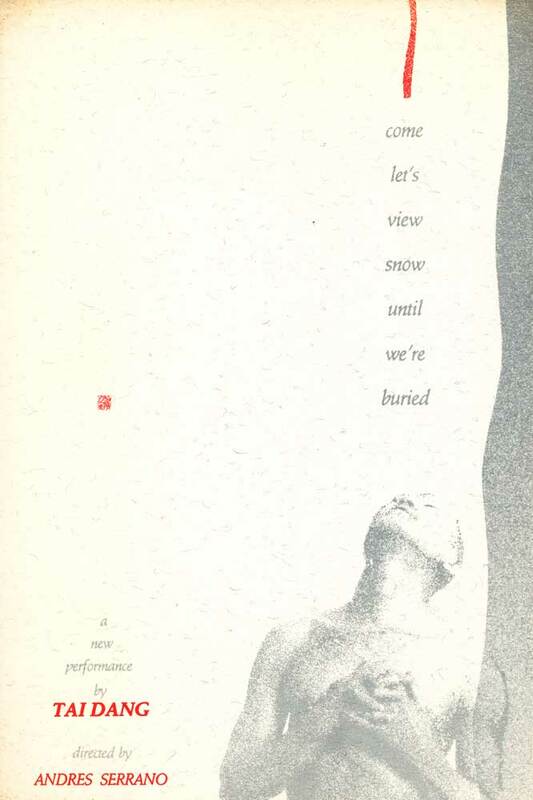 Postcard for "come let's view snow until we've buried" at Harry De Jur Play House, New York City, from Apr. 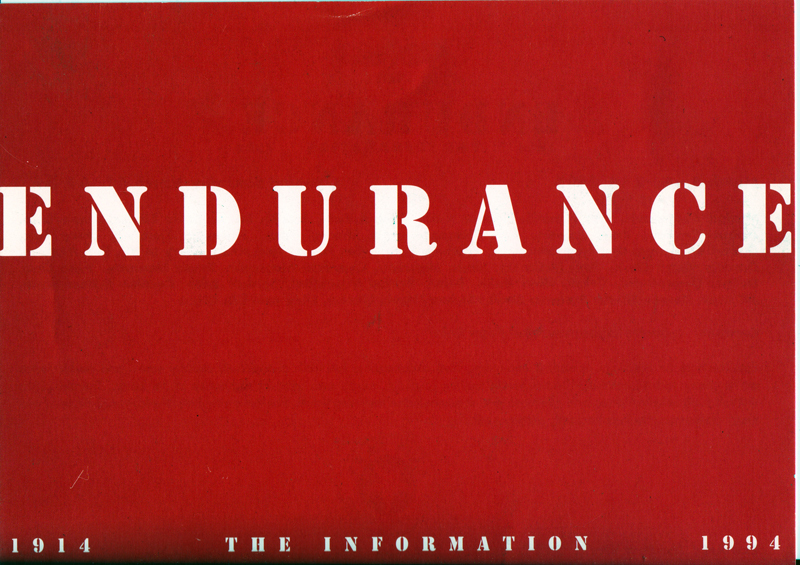 26-27, 1991. 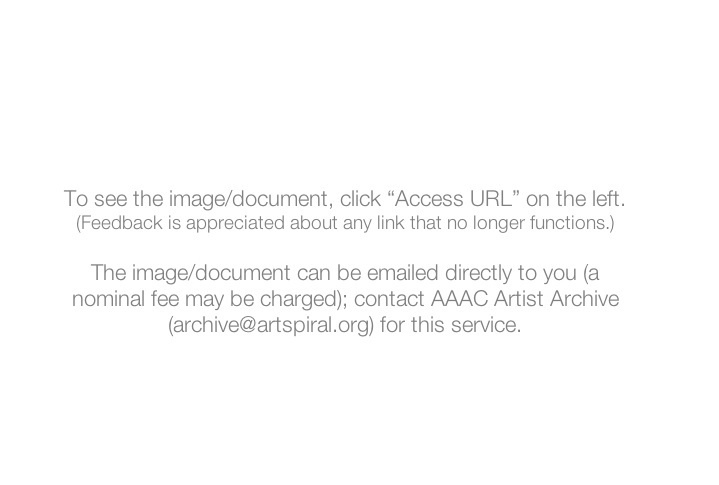 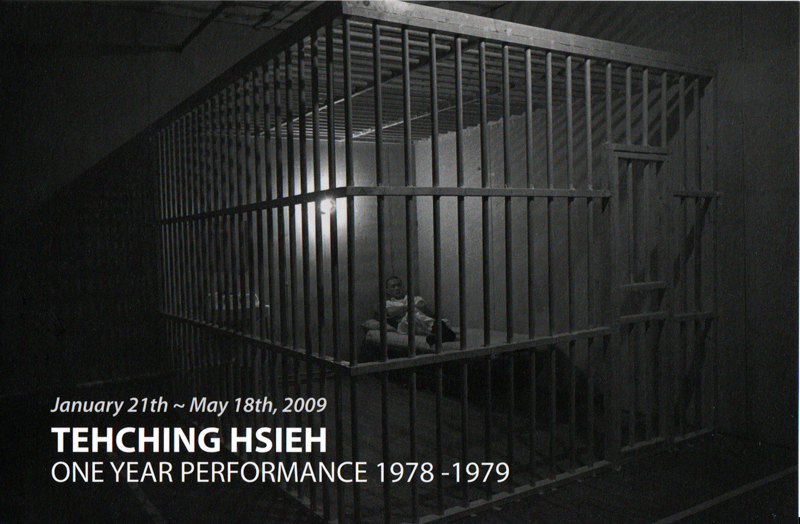 Postcard from MoMA showing Hsieh's first one year performance 1978-1979 (cage). 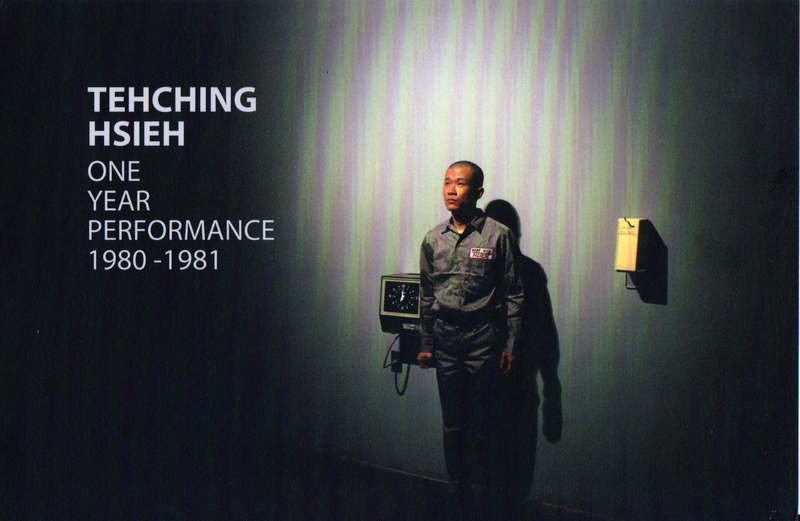 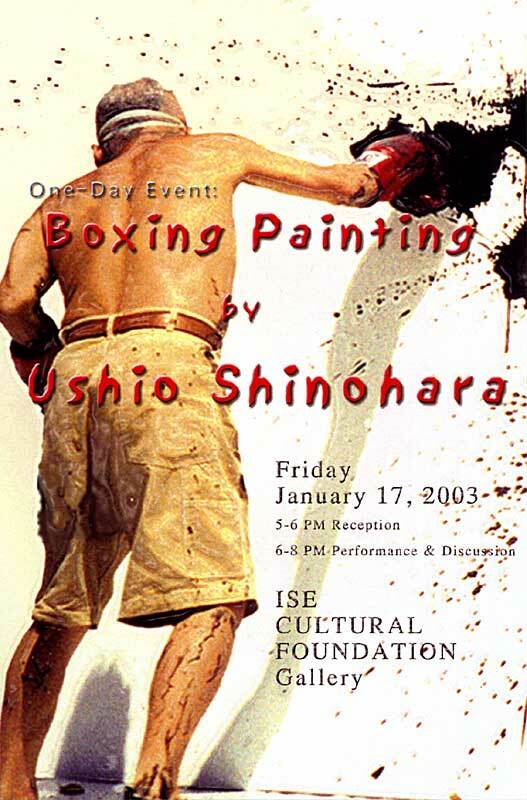 Postcard from an exhibition that included Hsieh. 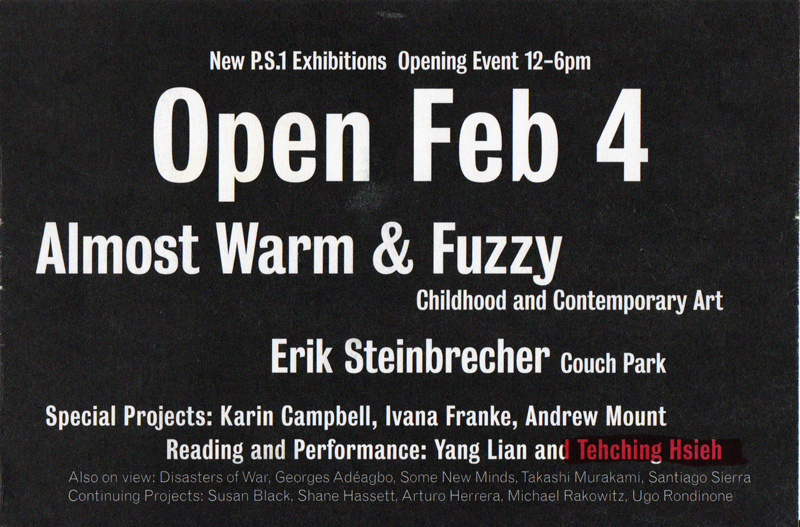 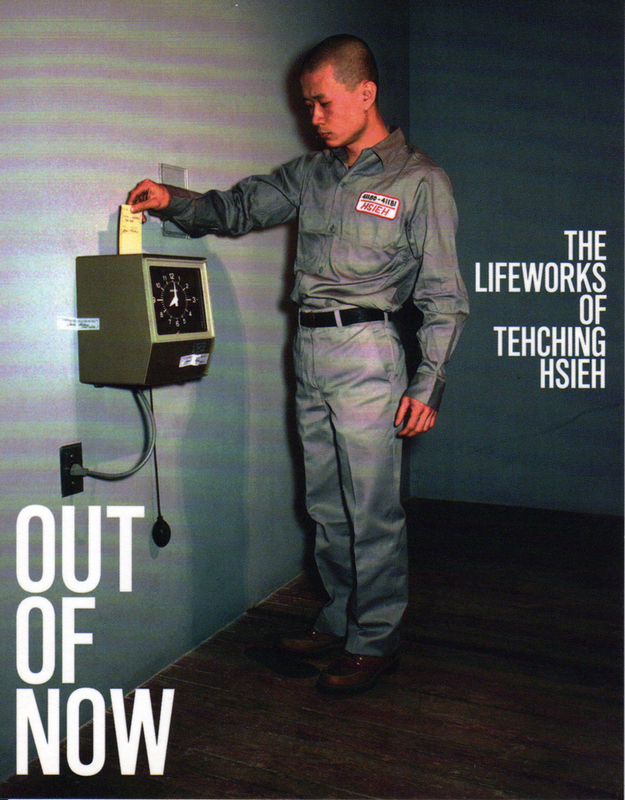 Postcard promoting a book about Hsieh's work.